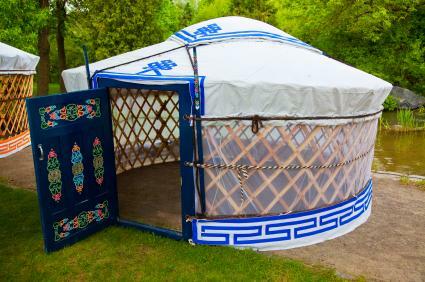 This page is about the simple and portable yurt. There are more modern and permanent types of yurts that feature kitchens, living rooms, bedrooms, bathrooms and all of the other comforts of today's homes. They were always made to be portable because they were originally used by nomads in Central Asia. Once taken apart they can be transported easily by donkey or a vehicle with a roof rack. The framing is made out of a wood lattice which is also called a khana. These frames come in 3 to 5 separate pieces that are held together by rope. At the top there's the ring that holds together the rafts which go down to the lattice frame, also held together by rope. There's also the option of creating a foundation to help keep moisture out. How long does it take to put together and take apart? There is no exact time because all configurations are a little different in size and style. Later I'll talk about designs with the intention of portability. Most yurts sold today are only built once. A good estimate is two to three days for a large yurt including building the platform and moving in. For a simple and smaller yurt (camping) it only takes a few hours between two to three people. "You have to have basic building knowledge to put together a yurt. The yurt websites make it look easy, but trust me, it's not as easy as it appears. First of all, you have to build a platform. This takes a long time and it's something you have to do on your own because when you buy a yurt, the platform isn't included. There are a whole host of tools you have to have and there are some things that even two people can't do without the help of another person. 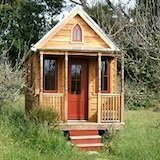 You also have to get the yurt and all the building materials to the property. Depending on where you're putting up your yurt, this can be tricky. Our yurt came in a large box and it was extremely heavy. Two grown men had a hard time moving it. Also, everything takes twice as long as you think it will. Make realistic plans and then double them. It's common to underestimate the endeavor." ~ S.C. Giles, Alternative Living Spaces: Life in a Yurt. How many people does it require? You'll want at least two people, three would be better. 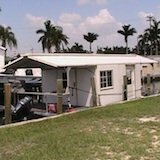 When researching for this page I found a couple of companies that specialize in manufacturing yurts that are easier to assemble and take apart. The most portable, lightweight and easiest to setup yurt on the market. Made to last with high quality non toxic materials. 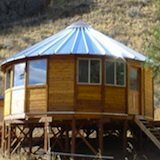 This company offers the least expensive and most portable yurts. They come in an array of sizes and can serve several purposes. 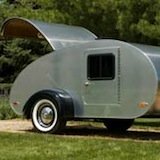 Here's a link to an extreme but interesting portable yurt featured at Tiny House Talk. It's a yurt built on top of a pick up truck. This link opens in a new window.